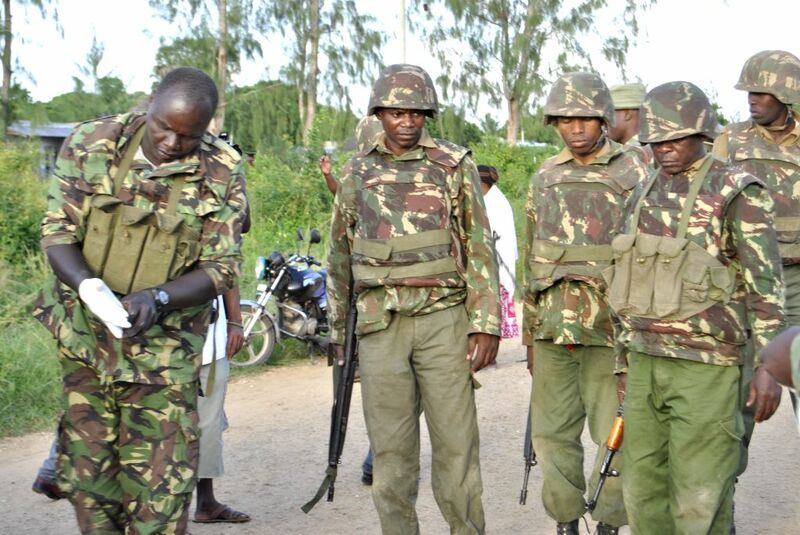 LAMU, June 16, 2014 - Security officers guard at the scene of crime at Mpeketoni, a coastal town in Kenya, June 16, 2014. According to Kenya's Red Cross, at least 48 people died in Sunday's attack here when more than 50 masked gunmen descended on the busy town and sprayed bullets on villagers, and torched several houses and buildings including the local Equity Bank branch. 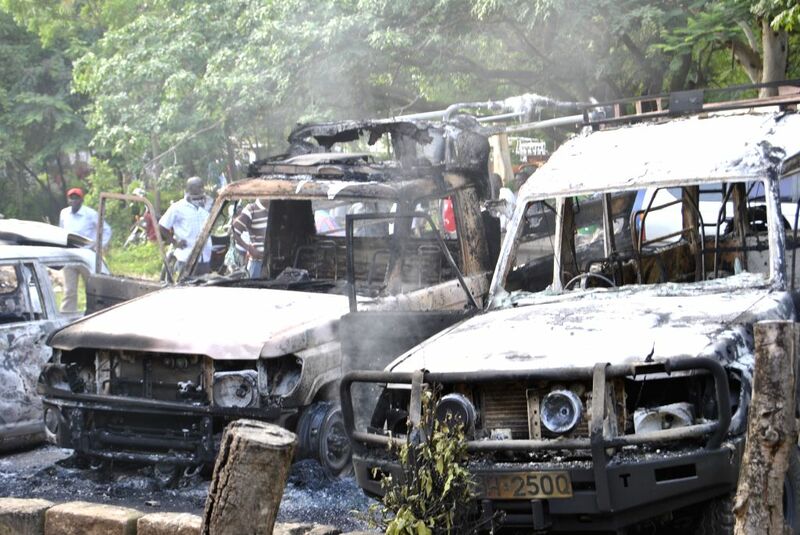 Photo taken on June 16, 2014 shows burnt government vehicles at Mpeketoni, a coastal town in Kenya.